Alright, let's talk about this company I have been posting about all weekend, let's talk about The Ridge. They are an outdoor utensils and tools company who focuses on making it easier for people to enjoy their outdoor adventures with a sense of style in mind. They have a variety of products from backpacks to power chargers, knives, phone cases and wallets. I was lucky enough to have recently partnered with them for their new wallet campaign. I decided to integrate The Ridge Wallet Titanium Money Clip into my everyday carry. I know, I know. A money clip is typically a guy thing, but screw stereotypes rights? It’s still National Women’s History Month. Anyways, the first thing I want to talk about when it comes to this wallet is how sturdy it is and how confronting it is to have the wallet with me. These wallets are blockers, essentially if a person is trying to hack into your accounts or steal your identity by scanning your cards through your wallet/purse your accounts and identity are safe from the thieves. They use their RFID-blocking inner plates that are built into the outer layers of the wallet, mine is Titanium. Which brings the weight into question, and it is not overbearingly heavy but a nice weight, practical. The adjustability of how many cards fit inside is also a unique trait. It even comes with a travel side screwdriver to adjust the bands on the wallet, they fir 1-12 cards without slipping. The money clip on the back of the wallet is also great. The clip is tight enough I didn’t need to worry about my cash falling out. Plus the overall look of the wallet is sleek and modern. 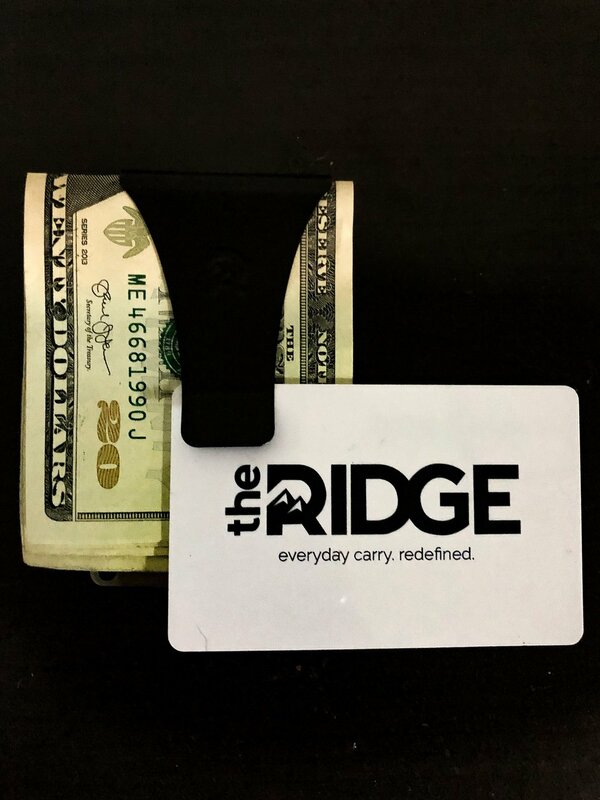 I carried The Ridge Wallet Titanium Money Clip over the last three days and won't be stopping anytime soon. I was able to slip the wallet into my boot when we went to dinner, so I didn’t HAVE to carry a purse or a clutch. It fits in the unreadable small pack pocket of my jeans without a bad print. Plus it fits in the small pocket on my leggings for my morning runs! The burnt titanium is my personal favorite of the colors and I 10/10 Recommend to anyone who loves outdoor adventures and keeping all their important cards safe from thieves. If you wanna pick one up, go to https://www.ridgewallet.com/her & use my 10% discount using the code “her”.